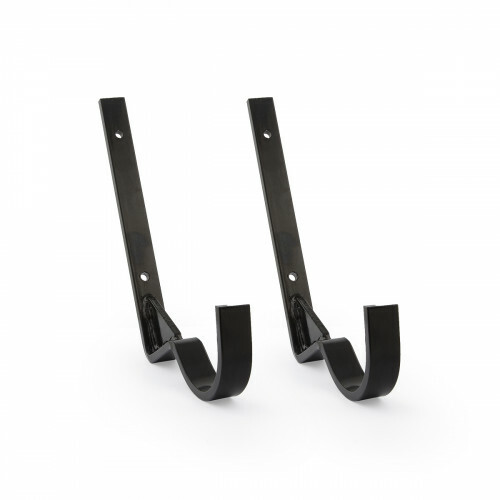 Wall brackets are used for mounting legless radiators off the floor. Use one pair of wall brackets with two wall stays to securely attach your radiator to the wall. Wall brackets are also useful for mounting legless reclaimed radiators. All of Castrads cast iron radiators are supplied either with integrated feet or separate feet at no extra charge. Care must be taken to attach these wall brackets to a wall that is stable enough to sustain the full weight of the cast iron radiator. Appropriate wall plugs and fixings must be used. If in doubt please call us for advice.